July 18th, 1817: Not, one might think, an occasion for happy commemoration. On that day a relatively young woman ended a long painful period of dying (dying is hard work), in bad pain (opium could not cope with it except as dope), cradled in the arms of her loving sister, a close friend, Martha Lloyd, and relatives near by. She had managed to publish but four novels, and no matter how fine, there were so many more she could have written or drawn from her stores of fragments. Two came out the next year, posthumously, one clearly truncated (Persuasion), the other not in a satisfying state according to Austen herself (Northanger Abbey). (Titles given by her brother and said sister.) She had been writing for 21 years at least before her first novel was published — Sense and Sensibility, by herself with money saved up and money and help from said brother, Henry and his wife, her beloved cousin, Eliza Austen. After Emma and a couple of unwise (seen in hindsight) decisions, she was just beginning to make money — or there was a hope of it. She was not altogether silenced as her books were reprinted in sets of novels over the 19th century, while over the next 170 years (1951 was the last date for a new text) fragments and letters by her emerged, albeit framed by contexts set up by her family and then academic critics. A sentimental identity was concocted for her by her loving nephew, Edward Austen-Leigh in 1870, in a memoir of her, an important year and publication because his portrait and picturesque edition was the beginning of a wider readership for her novels. It will be said the poem she is said to have composed on her last days where she wrote: “Behold me immortal,” has been fulfilled. All her extant writings seem to be in print; some are widely read, the major six filmed over and over, and recently a seventh (Lady Susan) and an eighth (Sanditon) added, with influence on many other familial romanes and witty romantic comedies, and from her work, a growing number of appropriations to boot. All written and/or discussed in newsprint, on public media, TV, in conferences as of the utmost importance. Her fictions has been translated into the major languages of the world. Who has not heard of Jane Austen? A New Yorker joke of 30 years ago was a good alibi on the stand was you were writing a biography of Jane Austen. The Bank of England commmemorates her today with a £10 note. Nonetheless, she had so much life left in her, she was so open to trying new trajectories, looking for new ways to develop her novels (as Persuasion and Sanditon seem to suggest), that the commemoration ought to be done with a sense of loss, of what might have been before us (and her) — as well as acknowledgement of what her journey’s end was. That this is not the tone can be accounted for in numerous ways, but a central one is the phenomenon of celebrity — as it is enacted in her case. For all such individuals, a kind of “ideological magic” (Theodor Adorno’s word) is ignited which may be sold through respected cultural industries’ institutions because it is recognized to confer power on people surrounded by this awe — such a person can get elected to be president of the United States however ill-qualified, or simply be worshipped as genius and each decade his or her identity (biography) reshaped to fit the new decade’s ideas of what is most admirable. That this re-shaping is going on before us can be seen in the various articles that were published in the New Times Book Review on Austen yesterday (on which more below). For my contribution, for yes I’m pulling my little bandwagon along behind or with the others too, I’m prompted by Diane Reynolds’s fine blog on the first lines in Austen’s fiction. Between Barton and Delaford there was that constant communication which strong family affection would naturally dictate; — and among the merits and the happiness of Elinor and Marianne, let it not be ranked as the least considerable, that, though sisters, and living almost within sight of each other, they could live without disagreement between themselves, or producing coolness between their husbands. On that event they removed to Mansfield; and the Parsonage there, which, under each of its two former owners, Fanny had never been able to approach but with some painful sensation of restraint or alarm, soon grew as dear to her heart, and as thoroughly perfect in her eyes, as everything else within the view and patronage of Mansfield Park had long been. The wedding was very much like other weddings, where the parties have no taste for finery or parade; and Mrs. Elton, from the particulars detailed by her husband, thought it all extremely shabby, and very inferior to her own. — “Very little white satin, very few lace veils; a most pitiful business! — Selina would stare when she heard of it.” — But, in spite of these deficiencies, the wishes, the hopes, the confidence, the predictions of the small band of true friends who witnessed the ceremony, were fully answered in the perfect happiness of the union. To begin perfect happiness at the respective ages of twenty-six and eighteen is to do pretty well; and professing myself moreover convinced that the general’s unjust interference, so far from being really injurious to their felicity, was perhaps rather conducive to it, by improving their knowledge of each other, and adding strength to their attachment, I leave it to be settled, by whomsoever it may concern, whether the tendency of this work be altogether to recommend parental tyranny, or reward filial disobedience. His profession was all that could ever make her friends wish that Tenderness less; the dread of a future War all that could dim her Sunshine. — She gloried in being a sailor’s wife, but she must pay the tax of quick alarm for belonging to that profession which is, if possible, more distinguished in its domestic virtues than in its national importance. For myself, I confess that I can pity only Miss Mainwaring; who, coming to town, and putting herself to an expense in clothes which impoverished her for two years, on purpose to secure him, was defrauded of her due by a woman ten years older than herself. Emma was of course un-influenced, except to a greater esteem for Elizabeth, by such representations — and the visitors departed without her. And as Lady Denham was not there, Charlotte had leisure to look about her and to be told by Mrs. Parker that the whole-length portrait of a stately gentleman which, placed over the mantelpiece, caught the eye immediately, was the picture of Sir Henry Denham; and that one among many miniatures in another part of the room, little conspicuous, represented Mr. Hollis, poor Mr. Hollis! It was impossible not to feel him hardly used: to be obliged to stand back in his own house and see the best place by the fire constantly occupied by Sir Harry Denham. A company of strolling players in their way from some Neighboring Races having opened a temporary Theater there, Mrs Percival was prevailed on by her Niece to indulge her by attending the performance once during their stay — Mrs Percival insisting on paying Miss Dudley the compliment of inviting her to join the party when a new difficulty arose. The whole of Lucy’s behaviour in the affair, and the prosperity which crowned it, therefore, may be held forth as a most encouraging instance of what an earnest, an unceasing attention to self-interest, however its progress may be apparently obstructed, will do in securing every advantage of fortune, with no other sacrifice than that of time and conscience. … Sir Thomas saw repeated, and for ever repeated, reason to rejoice in what he had done for them all, and acknowledge the advantages of early hardship and discipline, and the consciousness of being born to struggle and endure. But at length, by Elizabeth’s persuasion, he [Darcy] was prevailed on to overlook the offence, and seek a reconciliation; and, after a little farther resistance on the part of his aunt [Lady Catherine], her resentment gave way, either to her affection for him, or her curiosity to see how his wife conducted herself; and she condescended to wait on them at Pemberley, in spite of that pollution which its woods had received, not merely from the presence of such a mistress, but the visits of her uncle and aunt from the city. Still, I suggest what we have in these last lines, is coda, resolution, a sense of quiet satisfaction at the way things turned out for the characters (like all of us far less than perfect people) at journey’s end. This continuum of stability, of order, of reasoned perspective is central to what many readers seem to value Jane Austen for still. As Hermione Lee in a good book on biographical writing has shown (she is not the only biographer to do this), what is often asserted as the dying person’s last words won’t stand courtroom-like scrutiny. Emotionally involved people have their agendas just as surely any more distanced politicized (as who isn’t?) group of people. And it’s hard to remember or get the emphasis accurately: Cassandra says that towards the end of conscious life Austen said “she wanted nothing but death & some of her words were ‘God grant me patience, Pray for me Oh pray for me” (LeFaye’s edition of Austen’s letters, Cassandra to Fanny Knight, Sunday, 20 July 1817). But, as I mentioned, the usefulness of Jane Austen as icon makes for a ceaseless attempt to get past such texts, peer into them to find what is wanted by the viewer, and pry something new out. I recall how Hamlet did not like being played upon by Rosencrantz and Guildenstern. Matthew Arnold congratulated Shakespeare that he eluded it: “Other abide our question; thou art free …” Since her nephew’s memoir, Jane Austen has not been so fortunate. And this pronounced phenomenon – the re-invention of Jane Austen as well as an exploration of who these millions of readers are (now recorded in book reading groups and blogs across the Internet) is found across the many publications this year. I’ll confine myself to what was printed in the New York Times Book Review and their Sunday Review for some examples. The most to the point was John Sutherland’s on Helen Kelly’s JA: Secret Radical: at first he lightly and deftly, but definitely skewers Kelley: he picks out precisely the most untenable of her theses and arguments. I did not know that Kelley trashed Tomalin’s biography (I missed that), Sutherland picks up that as as well how she is deliberately insulting, provocative. One online review I read said she combines blog-style snark and literal readings with academic (sort of) approaches; I know that she misreads in a peculiar way: if we do not see Catherine doing something then she didn’t do it — no novelist conventions are allowed the usual play. Bu then he says something significant: that the aim of Kelley’s book (as with many other readers who want to turn Austen into a political radical) is ultimately against the Marilyn Butler thesis that Austen is a deep conservative. The problem here is as with other critics Kelley is dependent on, she no where mentions Butler. But the opposition is important: Butler’s thesis is persuasive and convincing in her first book especially, Romantics, Rebels and Revolutionaries because there Butler analyses at length true radicals in the era against which both Scott and Austen emerge as reactionary. Butler’s thesis fits William St Clair’s about “the reading nation” that it is no coincidence Scott and Hannah More and Austen a little later were readily available and the likes of Wollstonecraft’s works and Charlotte Smith, Holcroft, &c were not. Butler’s edition of Northanger Abbey remains the best and she wrote the present authoritative ODNB of Austen. Jane Smiley on Deborah Yaffe, a book about readers and writers of Austen, especially of the common reader kind (“Fandom”), complete with interviews. She is a journalist. Smiley says the second half of Looser’s The Making of Jane Austen contains worthwhile analyses: it is a “book history” book, tracing the literal publications, what they looked like, who bought them. It’s weak on illustrations, but then in the second half she discusses the way Austen has been discussed in the 20th century: by male academics, and then by women readers (Speaking of Jane Austen by Sheila Kaye-Smith and G. B. Stern is important), and now the new manipulations of her texts. Smiley feels just about all of Paula Byrne’s book on Jane Austen and the theater of the time teaches us in an interesting insightful way: about the theater, when Jane Austen went there, and how the plays of the era relate to her books. From my reading I find Byrne’s claims for sources in specific plays won’t bear scrutiny, but as a book about an aspect of the cultural world of Austen, it’s fascinating. Byrne’s other book (A life in Small Things) explores Jane Austen through small things she left and marginalized texts adds real information and readings of Austen’s life-writing. Sutherland is followed by an essay by Lizzie Skumick on sequels, the writer and texts in question, Joan Aiken. I have one of them somewhere in my house and remember I found it unreadable. Then a Francesco Moretti like analysis of Jane’s vocabulary using computer cluster technology by Kathleen Flynn (who wrote the JA Project, a time-traveling tale, claiming to unearth further secrets about Austen’s private life and death) and Josh Katz. They find Austen uses many intensives (very, much), lots of abstractions, in fact defies prescriptions for good writing. What then is her magic? they fall back on interpretation (forgetting Sontag who we recall instantly was against interpretation) and argue the tension between appearance and reality, pretense and essence (a good nod to Marvin Mudrick book on irony in Austen: “defense and discovery” were her modes). Moving on, Rahhika Jones reveals no deaths in Austen’s pages while we are reading them — we hear of a stillborn Elliot. But we hear of a number of deaths before the fictions start is the truth. And these deaths are important: Lady Susan’s husband, her support, Mrs Tilney, Eleanor’s, Mr Dashwood — all these set the action and it’s not just a question of property and money. Not content, we get a quiz with “famous” people (small celebrities) who alluded to Austen. Finally on p 16 it gives out. Not to despair, in the Sunday Review we find Devoney Looser arguing suggestively against the idea that Austen did her major writing on a tiny desk with a handy set of pages to push the little bits of writing under. It does sound improbable as long as you don’t take into consideration she might have done it once in a while when company was expected. Looser is also not keen on the assumption that Austen carried about much of her papers in a writing desk (rather like an ipad). Again it does seem improbable she took them all — but that she took some when she traveled (the way one niece describes) is demonstrated in one of her letters where she talks about a panic when her writing desk with was carried off in another carriage during trip. The desk was rescued. Some of these revisions of Austen in each era’s image can add much to our knowledge. Such a book is Jan Fergus’s on Austen as an entrepreneurial businesswoman, a professional (a word with many positive vibes) writer. Each must be judged on (my view) on its merits as contributing to sound scholarship (documents explicated using standards of probability and historicism) or ethical insight into Austen’s creative work. Susan Sontag in several of her essays on the relationship of art (especially photography) and life (especially the representation of pain, of illness) asks of works of art, that they advance our understanding of the real. Do they instead conceal reality under the cover of sentimental versions of what probably didn’t happen or not that way. Austen’s own fervent adherence to doctrines of realism in her era (probability, verisimilitude) suggests she thought the justification for her irresistible urge to write and to reach a readership is to promote an understanding of the reality of another person’s experience of life. I suspect such a standard would produce contemporary serious critiques of Austen’s fiction along the lines of the older irony-surveying Marvin Mudrick. This, as Amy Bloom on Lucy Worseley’s documentary about the houses Jane Austen lived in (also in the New York Times Book Review) concedes is not what’s wanted by a majority of Austen’s readers; Bloom reviews a BBC “documentary” (as much myth as fact) by Lucy Worseley on Jane Austen’s houses. It’s characterized, Bloom says, by “shameless ebullience” is a composite phrase using Worseley’s frank admission. One counter is Elena Ferrante’s unusual (and obsessive) defense of anonymity as the only true way to elicit for a piece of art its value in its own right (not as belonging to some group, some identity, some agenda). While her choice of anonymity has been defended on the grounds she has a right not to tell her name or about her life, the principles she tirelessly repeats in Frantumaglia: A Writer’s Journey has not received the endorsement it should. Online when she has put an essay arguing why anonymity is important, against in effect celebrity (fame) and icon worship, commentators don’t believe she really thinks as she does. Her idea, like Sontag’s, Austen’s own, and numerous of Austen’s more sober critics, that it’s the duty of the fiction-writer to “get close to the truth” of reality calls out for more attention. Sontag puts it in her Regarding the Pain of Others, that falsehoods protect us, mitigate suffering, and allow us to avoid the terrifying moment of serious reflection (I condense and paraphrase). Are there any terrifying moments in Austen. Yes. Some of this important material in found across her letters (which are often glossed over or dismissed on the grounds she never meant them to be read by others); some in the Austen papers (the life history of Jane Austen’s great-great-grandmother, Elizabeth Weller Austen, how badly she was treated as a widow and her struggle to provide for herself and for her children), in Austen’s fiction, an undergirding of deep emotions held at bay, which I think come outs strongly in her treatment of death as experienced by widows in her fiction. At this level Austen also (in some words Victor Nunez gives his Henry Tilney hero in Ruby in Paradise about reading Jane Austen): “Saved me from evil. Restored my soul. Brought peace to my troubled mind. Joy to my broken heart” (Shooting Script, p 41). It’s good the books survive, and some of the films, biographers, and literary critics do justice to them. 18th century print illustration of Weymouth, fashionable spa resort where Frank Churchill and Jane Fairfax become engaged …. Some six months ago now I posted a review of Chris Brindle’s play’s Sanditon, or The Brothers. It was filmed as a play, played on British TV, and a DVD was made available of the play, as well as a 40 minute documentary narrated by Amy Burrows (who plays Charlotte Heywood in the film). I thought it a splendid adaptation, which used the continuation by Anne Lefroy (published in an scholarly edition of Sanditon), which shows a real feel for the original and some knowledge of what her aunt intended. The documentary told of Anne Lefroy’s life as well as some of the circumstances surrounding Austen’s writing of this last unfinished work. Among these that Austen was dying and knew it, and at times in great pain before (and probably) during the writing of this fragment. The way Austen seems to have dealt with pain as seen in her writing was to distance herself, make an ironic perspective which both reflects on the issues at hand, and mocks them (see my The Depiction of Widows and Widowers in Austen’s Writing). In the same blog I uploaded a beautiful song sung by Burrows and Nigel Thomas, “The Blue Briny Sea,” a composition enacting what seems to have been Austen’s longing to be beside the sea far more than she had been able to. Emma Woodhouse’s longing is repeated in Sanditon where the wish fulfillment element is the town is by the sea. Since then I’ve been able to read Chris’s script of the play, and an outline of how to turn this 2 hour script for a play or single movie into a mini-series (it looks very doable). Chris explains how he originally wanted to develop a play about Anna Lefroy, but there was insufficient interest — and how he came to develop an ending for Sanditon. He sent me a pdf of his book, Hampshire: Discovering the 19th century world of the Portsmouth artist, R.H.C. Ubsdell in which he recreates intimately the local world of Hampshire both Jane and her niece Anna spent much of their lives in through Ubsdell’s pictures (from the gallery). Finally, a musical rendition (words by Amanda Jacobs) of Austen’s Three Prayers combined into a hymn of praise, “Father in Heaven.” All this material shows immense sensitivity to underlying motifs and feelings of Austen’s works as well as the subtle felt realities of Anne Lefroy’s relationship to her aunt, a real knowledge and empathy with one another. Did you always know your life would be so short? When you take nothing with you at the end? Or memories of you will still remain? And your time was running out. Ou des souvenirs de nous survivent encore? Quand le voyage arrive à son terme? A pu autant, changé la face de cette terre? As we near the 200th anniversary of Jane Austen’s death …. Today a friend sent me a news item that the first “period costume drama” of Jane Austen’s unfinished Sanditon is slated to be filmed, in an advertisement that says this is the first filmed Sanditon. Well not so. Chris Brindle’s play from Jane Austen and Anna Lefroy’s Sanditon is, and it’s the argument of this blog it’s probably much more in the spirit of Austen than the coming commercial one. First, the ad suggests a cosy, creamy film (rather like the recent Love and Freindship), with the completion written by Marie Dobbs. Dobbs turned a satirical and highly sceptical story whose focus is a group of people seeking to make money on the false promises of a seaside spa to cure people, into a melodramatic romance, complete with an abduction, an elopement and three marriages, the accent now on love. Yes box office stars, Holliday Grainger for Charlotte and Max Irons for Sidney Parker have been cast. And much better — reasons for thinking this might be another strong Austen film: the screenplay writer is Simone Reade, who has to his writing credit a fine movie from R. C. Sherriff’s powerful WW1 Journey’s End and the 1997 Prince of Hearts. In addition, the director is Jim O’Hanlon who directed the 2009 Emma scripted by Sandy Welch and starring Romolai Garai and Johnny Lee Miller. And Charlotte Rampling is to play Lady Denham! Nonetheless, I wanted to recommend not waiting and availing yourself of Chris Brindle’s production of Sanditon, available on DVD from http://www.sanditon.info. I’ve watched it three times now, and went back and reread (as I’ve done before) Anna Lefroy’s continuation, which, together with her aunt’s fragment are the basis for Chris Brindle’s script. It has that Jane Austen quality of telling real truths while leaving you somewhat cheered. This interlude between the two acts captures the brightness of the production; the singer is Amy Burrows who plays an appealing Charlotte. She also narrates the good 40 minute documentary available from the site about Anna Lefroy’s life and other writing and relationship with Austen as well as the circumstances surrounding Austen’s writing of Sanditon: Austen, as we all know, was fatally ill knew it, often in bad pain; this was her last piece of writing. Brindle is an ancestor of the painter of a miniature of Anna Lefroy, and has interested himself in the landscape, houses, and culture of the era. First some admission or warning-preparation. The people doing the production had a very small (or no) budget and parts of the play are acted in front a black screen; several of the actors are half-reading the scripts. I found this did not get in my way once I became interested in the play and characters and that was quickly. These parts of the performance reminded of good staged readings I’ve attended. 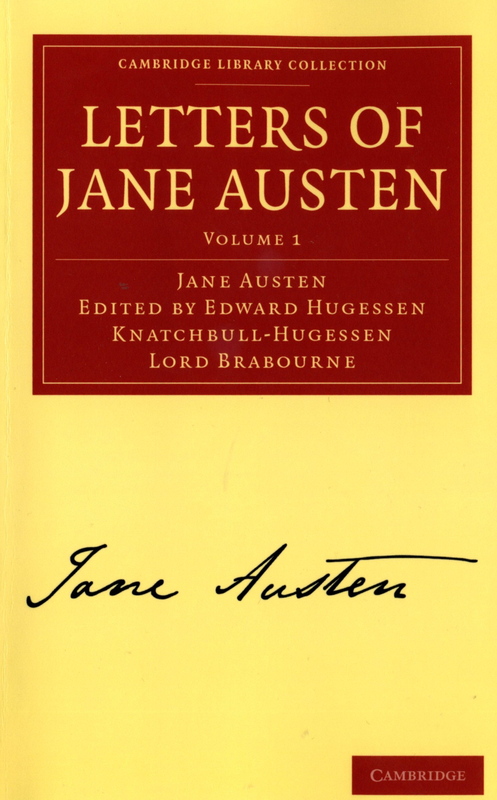 On the many pluses side: like Catherine Hubback’s Younger Sister (Hubback has also until recently not be a favored subject for the Austen family so that it was hard to get hold of her continuation of The Watsons), Lefroy clearly knows more of the direction Austen meant to take the story in than we can see in the extant text. In her Mary Hamilton she captured something of her aunt’s tone in Persuasion: here she continues the peculiar comic feel combining real hypocrisies, delusions, with a comic control from distancing style. Lefroy’s continuation was not widely known until 1977 when it was published in a good edition and is still ignored, partly because Anna’s close relationship is her aunt is downplayed in favor of Austen’s relationship with the richer Fanny Austen Knight. His carriage overturned, Mr Parker demands that Mr Heywood (Adam Bone) produce a surgeon …. In the film, the parts are very well-acted, especially of the key figures, Mr [now given the first name of] Tom Parker (Vincent Webb) and Lady Denham (Barbara Rudall). What Lefroy did was to bring out the implications of her aunt’s story: Parker is fringe gentry desperately trying to make money to support his gentleman’s lifestyle, overspending to make an impression, a physician-chaser (he deliberately allows his carriage to overturn where he thinks he will meet with a physician whom he can bring to Sanditon to allure the sick into believing the spa will cure them. For Mr Parker, there is just enough lightness of humor to make them sympathetic figures, without overlooking his actual predation, which is however registered by Mrs Parker’s querulous fretting (Bonnie Adair). It’s more than hinted in Austen’s fragment that the sanguine Sidney, the younger brother (played by Pete Ashore), is an intelligent decent man (a sort of Mr Knightley figure) who rescues Parker from bankruptcy. Lefroy’s text adds a villain-friend of Sidney’s, a Mr Tracy (Adam Bone) whom she characterizes in a more worldly way than any of Austen’s heroes: Tracy is rather like one of Trollope’s semi-rakes; he lives high off his rank, cheating just enough on cards and here as a speculator in a local bank, to sluice money off other people; his creditors don’t call his debts in because they keep hoping to be paid in full. Brindle adds further that Tracy also takes advantage of the delusionary conceited Lady Denham (a sort of Lady Catherine de Bourgh figure) to bankrupt her account. This open emphasis on money as the girding understructure of the society is matched by a development out of Austen’s text: Clara Brereton (Lucy-Jane Quinlan) is a paid companion to Lady Denham, who exploits and bullies her; she is also being seduced by Sir Edward Denham, Lady Denham’s nephew. They have to hide this from her and Austen’s text ends with Charlotte spying them seated on a bench where Clara looks very distressed. In Austen’s text Denham is an admirer of Richardson’s Lovelace, and Clara may be seen as a short version of the name Clarissa. Brindle adds (somewhat improbably) that Denham is pressuring Clara to put some poisonous or sickening compound into Lady Denham’s medicines to do away with the old woman. 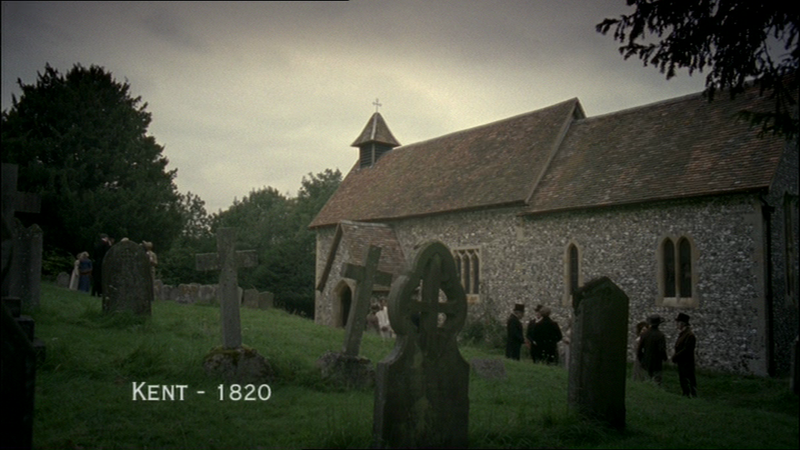 Brindle has picked up a view of Austen’s Mr William Elliot I have and think may be seen in the 2007 ITV Persuasion (scripted by Simone Burke). Mr Elliot pretends solvency but is actually near broke; that’s why he is hanging around his uncle, Sir Walter and is willing to have a liasion with Mrs Clay to have evidence he can use against her if she should try to marry Sir Walter. Sir Edward Denham is in type a Mr Elliot: a really bad man, desperate for money. I found it an ambiguous feel was given this simple characterization when the same actor played both the good man (Sidney) and the bad one (Denham): Pete Ashore. The choices for doubling are effective: the simple good Mr Heywood, the smooth calculating crook Tracy: Adam Bone. The best scenes though are those which don’t forward the plot directly. One set are those given where we have just Alice Osmanski as Diana Parker talking out Diana’s inimitable letters or place in dialogue with the Parkers, Charlotte and different configurations of the other characters. She was brilliant, vivacious, half-mad and well-meaning all at once. Rickey Kettly-Prentice is too thin for Arthur, but otherwise utterly convincing as this falsely hypochondriacal young man who finds he does not have to work for a living. Working for money in Austen’s novels is presented positively again and again, but Arthur is the first male to himself almost self-consciously enact a drone role. The other are those where the plight or hard circumstances of young women without money or status are made central: the characters who carry this are Charlotte Heywood (not brought out clearly in Austen’s fragment because as yet she is not sought by Sidney Parker), Clara Brereton and Miss Lamb, her given the ironic first name of Felicity. Austen tells us only that she is a “mulatto,” very rich, brought by a governess along with a few other girls in a seminary arrangement to spend time at the seashore. Brindle has her tell a story to Charlotte and Clara that reminds me of the story of in the 1808 anonymous epistolary novel, The Woman of Color. Felicity is the daughter of a slave-mistress of her father, both badly treated by the man, with strong suggestions that she was sexually abused by Lamb at age nine. Fittingly for Austen’s fragment, Brindle has disease (a factor in the West Indies for the English who had not built up immunities) do him in. He loses all his relatives but Felicity, and ends up semi-dependent on her while she is there, and sends her to England in order (in effect) to buy a white husband in order to to produce whiter grandchildren for himself. In her intense conversation with Clara and Charlotte Bonnie Adair as Felicity seethes with anger and hurt and shows no disposition to marry anyone; she wants independence and liberty and the play ends without her having engaged herself to anyone. Brindle also fills in Clara’s story: Lucy-Jane Quinlan speaks with a cockney accent throughout and is given a sort Dickensian deprived background, which is poignant. As it’s understandable that Miss Lamb should not be keen to marry any man, and want to control her money so it’s understandable the portionless Clara should be willing to submit to Edward Denham’s bullying, insults (there are brief moments of this) in order to marry him. It’s her only way to provide for herself she says to Charlotte. Telling it this way brings out the undercurrents of melodrama and harsh realities that actuate the crises and character’s hypocrisies. The appeal of the piece, its piquancy, is like poor Susan’s miserably over-medicated existence (appropriately Susan is played by the same actress who plays the hard-worked maid, Daisy, Ruby O’Mara), kept muted most of the time. Susan and Daisy don’t say much: Susan is continually using a handkerchief, writhing quietly; Daisy is kept busy. Only in the moments of exposure — such as when Sidney saves everyone by exposing Tracy (and declares for more building up Sanditon), or Mr Parker finds he must admit he is nearly without funds, and the hysteria of Lady Denham for whom a proposed income of £100 a month or a year is horrifying. Fatal. Otherwise how have a happy ending for Clara. I’m sure Brindle has also read Emma where Jane Fairfax’s happy fate is the result of Lady Churchill’s sudden death. This is a play and production which does not turn Austen into complacent romance or uncritical social comedy. Not that Simone Reade’s production necessarily will. Brindle says in the documentary he meant to do justice to Anna Lefroy’s continuation, her writing and life relationship with her aunt. He does so. Perhaps the delight or feeling that this is world where there are good people whose strength has not been undermined or twisted by circumstances inheres most in Amy Burrows’s character and performance. She does not seem at all your moralizing exemplary heroine, just someone (as she says) who has been lucky to have kind (if not very rich) parents. She is given several wry choral asides for turns in the story. Try it, you’ll like it if you give it a chance. A third short blog, just to announce I’ve put onto my site at Academia.edu, a copy of the comparative review of the two Cambridge Companions to Jane Austen (1997 and again 2011) I wrote for ECCB, which will appear in due time (I hope), either this fall or next spring. I’ve already blogged on the individual essays in the two volumes, summarizing and evaluating them individually, but have been asked for a quick overview several times now so thought this pre-publication appropriate. As I end this four year long close-reading of the letters of Jane Austen as they appear in Deirdre LeFaye’s edition, based on Chapman’s originating scholarship, it is time to make some attempt at an assessment of Cassandra and Jane’s relationship. These last letters occasioned controversy on Janeites as to how far was Cassandra a confidante who understood her sister and appreciated her full gifts? I read these letters closely to try to break away from conventionalized stereotypical views and believe I did manage that with respect to Henry and Eliza Austen, Jane’s relationship with Martha Lloyd and her brother, Francis. 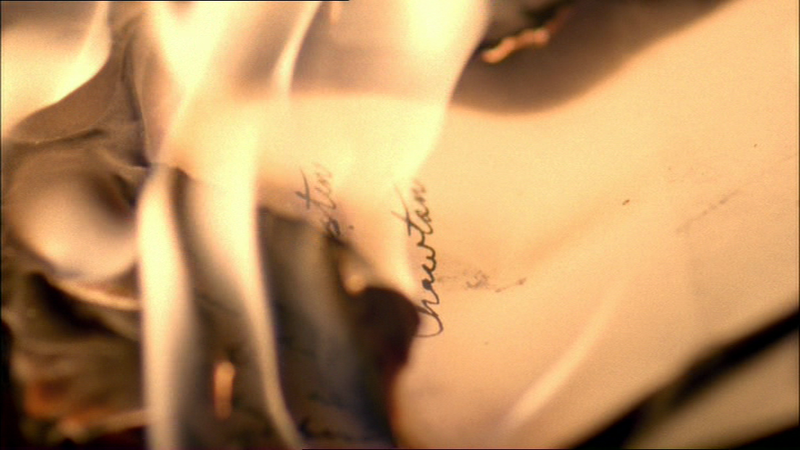 I did not know that the letters to Charles and Henry were so few (and Jane so disdainful of Charles’s first wife’s family), and am convinced now there was a cache of letters between Jane and Eliza (as there was between Francis and Jane) destroyed. I was reconfirmed in my idea that Jane favored her father, remained in a tense relationship with her mother for many years, that her Aunt Jane Leigh-Perrot stole that lace (or “smooched” it as Maria Bertram says of Mrs Norris’s propensities), that unhappily due to her older brother, James’s bullying wife, Mary Lloyd, Jane and her older brother lost a closeness they originally had. I did realize that equally unhappily after Anna Lefroy grew older, Jane was unsympathetic, unfair to a niece who had looked upon her as one of her surrogate mothers, but not that Anna’s novel-writing was an offering to draw her aunt in again. Nor that Jane was at once aware of Fanny Austen Knight’s limitations and kept an emotional intellectual distance while at the same time drawing close to the conventional niece because she, Jane, was perhaps more comfortable with someone who could not understand her. I knew about her early love for Thomas Lefroy, Mrs Lefroy’s compensating attempt to match Jane with Rev. Samuel Blackall, an apparently real regard for Edward Bridges which was cut off, and the sudden late congeniality with Charles Thomas Haden (too young for her by this time and beneath her socially). I did not know how much she favored Frank until these letters. I did not know that she loved Martha Lloyd potentially the way she perhaps could have at least adhered as a wife to man she could be congenial with. The letters do not include the affair with Harris Bigg-Wither which culminated in an acceptance and then clumsily broken off engagement. I did not realize how complicated and interesting a person Henry’s thwarted career (that he went as far as he did is remarkable), his marriage to Eliza and his helping his sister publish her books shows him to have been, nor how little Jane did him justice. I am persuaded I see the over-all arc or trajectory of the two sisters’ relationship over the years but the details of what quite was understood between them by Cassandra as opposed to Jane either were never written down or destroyed by Cassandra. In their earliest letters to the time of leaving Steventon, the letters between them register much tension and disagreement: Cassandra repeatedly not only does not approve, she scolds, she does not respond to Jane’s letters, she writes others more often (she is not comfortable); Jane is guarded, indirect, placating (Cassandra writes the best letters anyone ever did and Jane longs for these). Jane has turned to Martha Lloyd just before the Steventon breakup; Mrs Lefroy steps in – very badly – to try to find a man for Jane after having herself colluded in removing Tom Lefroy. There is no sense at this time in the wild hurt Jane Austen registers at how everything is being done for her brothers, how she is expected to give everything up to James (even books and piano) that Cassandra at all shared Jane’s feelings. She seems to have accepted the roles imposed on her. Then we have the time in Bath and the silence of 4 years. My reading of the letters just before and especially after, the one new novel from this time (The Watsons) compelled me to conclude Jane Austen had a breakdown of some sort, from which she came back with difficulty and through resuming writing (Lady Susan, preparing Catherine or Northanger Abbey for publication) — when we pick her up again we find her exchanging visits with single women of desperate gentry level like themselves, especially after her father’s death when they move from Green Park buildings to Trim Street. A new note is seen in the open intense relief of leaving Bath and the letters of their times away at the seashore in summer. I suggest at some point in these 5 years Jane made her compromise; she acceded to appear and act the way Cassandra wanted in reciprocation for the real help Cassandra afforded — she was given space and time to write. This space and time was essential to her recovery. The plan concocted by Frank was part of this. So by the time of Southampton, like a married couple, Jane and Cassandra and Martha too have made an understood bargain. Frank is in on it. Unfortunately the household did not work because Mary Gibson was deeply uncomfortable with these triangular relationships. She wanted and got out as soon as she could. She also (like Mary Lloyd Austen) was no reader and wanted out of the nights of reading and days of writing (for Jane) too. We need to recall how almost immediately from the time of Thomas Fowles’s death, Cassandra excludes marriage and by the time of Southampton, with Jane as moral support in effect, is dressing like an older spinster. Being thrown at men (implicitly) in Bath must not have been much fun for them. Like others before them, Emma Donoghue sees in their behavior a pattern of understood lesbian spinsterhood — they had with them other friends, a female community Jane was repeatedly trying to stabilize. 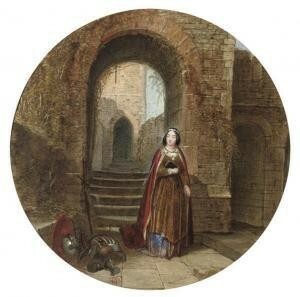 Then we see tension with Martha who during the time at Southampton wants marriage and can’t find anyone (no money, she had had small pox, and from the one painting she was very homely in the first place; and she had no connections). Cassandra does now agree to the idea of a female group of friends to live together — she, Jane, Martha and here and there Jane yearns for others — apart from the mother. But one dialogue with the brothers, and that’s made hopeless. Many people who read this blog have even close friends and more to the point relatives they may see and depend upon and like very much who are different from them fundamentally. And spouses too — who live a life together where nonetheless there are big gaps. There was enough shared — more than enough — of spinsterhood, poverty, family; Martha came on the trips (we have her at Worthing one of the trips for which we have evidence of who was there), ever there on and off until May 1817, a ghostly second or first love for Jane. All the talk about the deep confidence and how Jane and Cassandra told one another more than any one else is at one point contradicted by Fanny — so Jane in a spontaneous moment denied this. And it was three-way anyway. The way in which it’s phrased has a double symmetry that reminds me of such statements in romances (like of Pamela and Philomena in Sidney’s Arcadia). There was an important part of Jane Cassandra did not understand and just tolerated. Jane’s books are talked about as simply laugh, what fun she had writing them. The talk about the novels as reflected in the family letters was, isn’t Aunt Jane a card? What good fun these novels are. We are told of Jane Austen getting up, walking about in gales of laughter and then returning to her desk. My sense that Austen was not in fully conscious contact with what are the depth of her fiction is part of that. The work of revision is probably not what is being described when Jane is getting up and down doing what the relatives described as fun. Cassandra was sounding board for these readings which ended in gales of laughter (as heard on the other side of a door) and for the literal verisimiltude Jane Austen was consciously working; this latter one aesthetic rule rigidly adhered to by both Cassandra and Jane is reconfirmed in what Jane says Cassandra had to say about Anna Lefroy’s fiction. I have become convinced through this close reading of Austen’s letters and a study I did of the manuscripts for a review for an Eighteenth Century bibliographical periodical that Austen’s deepest imaginative gifts were only part of her conscious life through her tenacious practice of absolute unqualified verisimilitude through literal probability and her attention to style. What she did was endlessly revise and we have evidence that all the novels up to Emma and Persuasion were the product of many years of revision. You can study the process a bit in the few left and you discover she characteristically begins with burlesque with a kind of rigid moral message or anger at some perverse social custom, and then as she proceeds, not just softens but will change the tone until we are near the grave, plangent, and have an utterance that does not fit this morality and is at a distance from the anger. Her criticism in the letters shows no awareness of the deeper strains of the books she reads. I’m not sure that makes her into two Jane Austens but I think another part of her writing career does. I agree with Harman that the family’s toleration and pride in her books was limited — to all Harman’s instances I add the striking comment on Emma a couple of months after publication, no one will want this copy around here. Only after her death do we know her name and only more than 50 years later a memoir with a repressed book (so she fits into the 1790s — and I’d like to add her “Plan of a Novel” resembles Blake’s “Jerusalem” in its idiosyncratic mix of names of real people she knows, archetype, and allusions to a book by Cottin itself a semi-political one) and one where only volume 1 was complete. The savings of the comments Jane got rarely show any appreciation of what these texts are. Note what Cassandra says she likes to remember of Jane in these letters: in all the circumstances of their lives together probably includes reading and writing but what is specified is the “chearful family,” and then during the illness and death – when she was so dependent, filled with anxious semi-penitence. They shared a room. It was understood they would. Another way of putting this is Jane Austen never had a room of her own. In London she often slept with Fanny. At Chawton when she was gone her bed was given to young Cassy to sleep in. (I could repeat how until the end Jane Austen hadn’t the power to go and come in a carriage as she pleased. Had she married she would have had that, but also a master over her head who could control her movements, take even her jointure if he pleased, impregnate her endlessly, which from her letters she did not want. Her novels would be her children.) Casssandra and Jane are as a pair ignored when their financial means are discussed. The family wanted them as a pair. Yet they were often apart. Jane was not much at Godmersham; she was more with Henry and Eliza at London where Cassandra seems not to have gone much. We are missing all the letters between Eliza and Jane and what happened when Jane arrived for the last two months of Eliza’s agon into death. There’s the problem that Jane Austen’s letters have not exactly been inspiring works of great imaginative thought or feeling; passages here and there have been remarkable for concision of wit, and one can’t get entirely out of this by arguing for Jane’s double life, or that the letters we have are not only a remnant but wholly unrepresentative. Had Austen written to someone who was (as we see at the opening of the collection) not disposed to disapprove scold, grow cold and not write back when Jane does not obey conventions, someone who Jane would have to exercise her gifts, maybe thecollection would have been different. From Frank’s letters we know he could be decent, humane (though a cruel flogger, so mean that he was in effect reprimanded for it and in this period that suggests ferocity). He occasionally shows original thought (he is horrified at the early use of versions of bombs as barbaric and refuses to go along with their use), but on the whole Jane’s attraction was to a pragmatic brother. The few we have to Frank show she was wary of him, slightly in awe of his power. Yet there is the oddity of how his daughter hated these letters so that she rushed to burn them the moment she had opportunity (was alone with them). Those comments we have by Jane on Henry are superficial, dismissive of his grief for his wife, his depths; Jane was not invited to Godmersham as he was, not a favorite there as he and Cassandra were. Later in life Jane has been co-opted into the family conventional erasure of anything uncomfortable or with the slightest whiff of unrespectability. If the portraits of Lady Susan or Mary Crawford are meant to evoke Eliza Austen, this is as painful as Austen’s snide comments about Anna just after her marriage (including a piano that she as a young woman had been deprived of). Later in life Austen apparently turned into mild version of what happens to people when they become hostages of others — the family way of erasing Eliza’s illegitimacy and Henry’s endlessly maneuvrings to escape the fate of a fourth brother in a family with little money and weak connections. Nontheless, enough is here from these three letters to show an enormous gap in understanding between Cassandra and Jane. Just read Cassandra’s words (see comment from Middlemarch below). When Jane is on the same page as Cassandra it’s in some of Jane’s worst moments and in some of Jane’s literary criticism of Anna’s novels and various texts by others. In the case of novels, all fail for both Jane and Cassandra on the criteria of strict verisimilitude. I see Cassandra as dealing with her own grief in these three letters; she deflects Fanny and she deflects Anne Sharpe, and what she’s on about is what she feels for herself and wants to believe for her sister. She is constantly alluding to heaven: Jane’s up there in heaven. Yes she wants hope for Jane and herself. She is scared of of that God and placates to the nth degree of self-censorship so as to hope all this was not and is really not as bad as it is. Well, Cassy it is and was that bad — meaningless deeply painful ordeal of death at a young age. Cut off. Jane recognized it — in the poem she was angry and in her last words saw all that was left was oblivion from pain. That’s as far as one can go for an outline of an adult relationship finally forming, once of compromise and understanding and support enough in the exigencies of a difficult fringe powerless life. CEA 3. 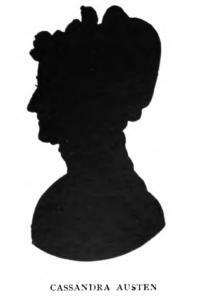 From Cassandra Austen to Fanny Knight. Tuesday, 29, July 1817. Chawton Tuesday. Here stands the final letter. Jane has laughed much and danced often and enjoyed her years at Steventon, including naming the new furniture. She has suffered much, as has Cassandra. They draw closer than close, an impregnable duo, a fact C does not let go of in the last letters. They move to Bath, Jane falls into depression, her father dies, the mother and sisters become poor dependents, sometimes humiliated, though Jane can still enjoy a good slide on the ice, and then vital life returns as they settle into Chawton. All along Jane has been writing and finally, in 2011, Sense and Sensibility is published, followed by four to five glory years as book after book emerges, four in all, catches the eye of the Prince Regent’s librarian, visits London gloriously, then experiences mysterious illness, decline and death. Reading the letters has been enormously important, inadequate as they are, for my understanding of Austen’s life and personality. FK apparently sent C a letter of grievance and condolence. C reads it three times, thanks her for it, says “nothing could have been more gratifying to me than the manner in which you write of her.” As for Jane, now “a dear Angel,” the praise she imagines Jane bestowing on FK’s letter is more qualified: in heaven Jane “may perhaps receive pleasure in being so mourned.” (Or not.) C then dwells NOT on JA’s love for FK, but on the similarities between the two: “there are certainly many points of strong resemblance in your characters.” But what C comes up with is weak indeed. “in your intimate acquaintance with each other and your strong mutual affection you were counterparts.” In others words, they knew each other well and liked each other. This is meant as warm reassurance to Fanny–and yet this is far as C will take it. Fanny must be satisfied that her praises pleased C, might possibly have given JA “pleasure” (of what sort we don’t know) and that C acknowledges that Fanny was an intimate. The next paragraph is more satisfying in giving us some historical particulars: the funeral day was tranquil and quiet, C watched the “little mournful procession” down the length of the street, until Jane’s coffin was out of sight around the corner. Her emotions are more stirred in recollection than they were at the time. We get the necessary conventional statements about how deeply JA was mourned (which may well have been true, but the language is conventionalized) and of Jane being “hailed in Heaven: with “joy.” C mentions–and I find this interesting–experiencing not only “considerable fatigue of body” but “anguish of mind for months back.” We can assume C knew for months her sister was not going to recover, but we must add to that the blow of the L-P will. However, C quickly assures FK, she really is well and grateful for God’s support: more conventionalities, more ways of deflecting pity or effusions. C ends with a much warmer salutation than that offered Anne: “God bless you my dearest Fanny! Believe me most affectionately yours.” And that is it. An unremarkable gentry life and death for the times, except for six extraordinary novels. If Jane could only know how beloved she has become. This letter contrasts sharply with the one to Ann Sharp; in the first paragraph Cassandra comes near to gushing. Diane characterizes it as full of flattery, seeking to assert (again) how close Jane was to Fanny: she thinks her sister “better known to” Fanny “than any human being besides myself.” Cassandra seems here not to have read – or understood – Jane’s letters to Fanny which show Aunt Jane openly peering intently into the consciousness of Fanny for material because she expects Fanny will not understand what she is doing, and then seeing that she had made Fanny very uncomfortable, trying to backtrack but still convinced that Fanny knows herself little (and this writer even less). When she fancies her sister speaking of Fanny in heaven in the same terms as Jane’s letters thought about her when in life we see the difference between a mediocre mind and that of genius. Again we have how Jane up there in heaven may be receiving pleasure in seeing Fanny so mourn her. Fanny has apparently written again (to Cassandra) and Cassandra read it three times and just rejoiced in Fanny’s kind expressions to Cassandra and yet more strongly for Aunt Jane. Fanny Knight is certainly more valuable object (personage) than Ann Sharp in Cassandra’s mind. It would probably be wrong to suggest that Cassandra did not understand Fanny nor Fanny her: they lived on the same plane with the same values, norms. Not that Fanny sees through this; it’s what she expects. Then a paragraph on the funeral, to which Cassandra not only did not go but seems to have tried to behave as if she was not even paying attention when she was alert every split minute. All calm and tranquil. This woman spent her life denying emotions she felt which she had been taught she was not supposed to have – so “when I had lost sight of her forever – even then I was not overpowered, nor so much agitated as I am now in the writing of it.” In the writing of this event and her emotions, she cannot ignore the latter as they fuel her pen. Then how much Jane is mourned sincerely – by her family. 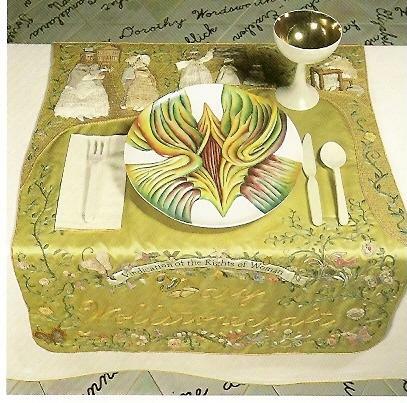 Scattered throughout the letters are the assertions about how Jane is now in heaven – of course it’s put that Cassandra hopes this as Cassandra would not presume and is ever so grateful to God for supporting her in all this. (Good of him – I find myself remembering Eliot’s analysis of this kind of thinking which I posted yesterday.) In the midst of this she admits to the ‘fatigue and anguish of mind for months back.” She then turns to Fanny’s father – Fanny has said he looked unwell when he got back – Fanny is not into this denying business. Cassandra replies she did not think Edward “appeared unwell” (careful qualification there) but she “understands that he seemed much more comfortable after his return from Winchester …” Perhaps relief now the remains are gone. An ordeal finished, the burden a little lifted because the presence of the person and then the corpse showing what had happened vanished. She need not tell Fanny what a great comfort he was to her. Then how she is getting through these first days. Always a problem. She goes out a lot – into the yard? To visit – employs herself, but of course she chooses those employments which give her leisure to remember. Note how this woman is continually monitored by her super-ego. It’s interesting how she likes to remember her sister: not writing, not reading but “in confidential discourse, in the cheerful family party, which she so ornamented, in her sick room, on her death bed.” (She and I part company there, I’m not keen on remembering the sick time, nor death bed, though it is ineradicable and keeps coming back.) But there is that “the cheerful. She then hopes to be united in Heaven but lets slip how grieved she will feel when “the time must come when my mind will be less engrossed by her idea [image is the meaning of this word, from Locke]. She then hastes to placate her God again – never cease to reflect on Jane as inhabiting Heaven and never cease all those humble endeavours (please God) to join her there. I seem to temember it was around the changeover from BC to AD when this notion of a personal God really somehow paying attention to what’s in someone mind, personal prayer as actuating anything was first articulated. And so these letters end. Diane set them in the context of this 42 year life emphasizing its successes and concluding on how Austen is now so beloved. I know this is a strong impulse: while the person is dying you want to reassure them they have lived a good life, been so loved. Jane’s last poem does not suggest she was thinking over her life;she was asserting a kind of immortality some of us might like to think she felt from her books but what the poem shows is her identifying with Venta. When she is buried, the foolish people with their races will think she is gone, but no such thing, she has been able to get back at these ‘sinners” by raining on them. In the last stanza she enacts what Johnson said the mad astronomer did in Rasselas: asserts her control over the weather. Mad jokes? Those are her last words that we have beyond the few where she begs for the oblivion, the surcease of death. For Diana Birchall’s reading see comments. As in her other letters Cassandra’s last is filled with religious egoism which she presents as consolation. George Eliot’s Middlemarch‘s analysis of the ultimate sources of this kind of religious utterance in her Mr Bulstrode, a “humble” evangelical Christian, offers an explanation. Eliot was brought up among such people and shows us a man who looks out at the world from the standpoint of self: Bulstrode says of an enemy who comes to Middlemarch, God made this man come to Middlemarch because God had me in mind; when another individaul wants to sell a property and Bulstrode can afford it, this is God manipulating the world to reward me; in CEA’s letters, God must be gratified to look down and see you, Miss Sharpe get this bodkin I send; the smallest thing in the universe is intended for and about her or Jane Austen, and this includes cruel horrifying events: hideous death for Jane Austen very young is God wanting to punish Cassandra. The person does not conceive how insignificant he or she is against the huge universe, how many more real motives and circumstances and history actuate whatever happens because he or she is putting an unthinking utterly self-centered view as controlling the universe. In his Varieties of Religious Experience William James describes these circuits of what passes for thought more abstractly. Cassandra was uttering what she could out of her denied pain; she had the cant of religion available to her and unlike her sister didn’t pay attention to the full meaning of words she wrote down. Diane Reynolds offers the modern kinds of consolation: look at the valuable life, see the person valued by all around her as she vanishes forever. Psychologists urge the people around the dying person to assure the person they will be okay financially, and to tell them they had a good life and were valued (whatever the words). This is for the sake of the people around the dying. The social world urges the grieving person to begin to recover quite quickly, or hide it. And that is what we also see Cassandra obediently doing. Diana points out what she calls the oddities of the final poem. Having watched a beloved person die in an ordeal of horrifying pain and drugged last days, someone quite intelligent, I know from him that he saw my repetition too of these sorts of useless statements — you were a good father, good husband, lived a good life, for the irrelevance they were. There is no use in anything we say to the person destroyed in the prime of life. Words are then powerless. Austen was not a solitary genius and her family encouraged her, and some did understand her books to some extent. But a number did not. My sense is Austen never did come into contact in a close way with anyone with her calibre of mind; some of her relatives recognized its value. I see Henry as one of them. Consciously she did not give him credit enough. She kept people away from her insofar as she could, especially I feel the more sensitive insightful ones. (This might not be true of Eliza Austen or Anne Sharpe). I feel for Cassandra; the words she uses are not important it’s the emotion she feels and ahead of her lies long years of absence, and after her mother predeceased her. I put the picture of Jane’s four books up as preface to Cassandra’s first letter. But were they consolation for Jane? Let us not insult her instinct. What we have from Jane shortly before death is remnants of a letter where she is presenting some case to Henry’s business partner’s wife. We know how devastated she was to see no money would be coming from her mother’s brother. I infer she knew that bad mistakes had been made in the few business dealings Henry did for her over her books. She had made little by Emma, lost the copyright of Pride and Prejudice. Then the twisted angry half-mad poem and records of her begging for oblivion, surcease from pain and life during the last ordeal. I mean this when I conclude this collection by saying I see in these framings “hope spring eternally in the human breast.” Can’t give up hope, can we? I have written this from the standpoint of what I take to be an accurate biographer of a life as it is lived. Yes in 1870 James-Edward Austen-Leigh wrote a loving memoir of his aunt, and began the wider popularity of his aunt’s books by providing a sentimental framing and reading of her life and works. He printed two valuable works by her. Yes other relatives, Lord Brabourne in particular, began further to publish her letters. Yes today she is known across the world, her books exist in beautiful varied editions, films have made her name a household word, and they themselves provide some knowledge of the books. But none of this is what she died knowing. What her life was. And a good deal of this wider dissemination makes a travesty of the meaning and reading of life her books offer us. That’s why it’s important to see the letter collection for what it shows us.